In 2015, Emco Building awarded The Bottleyard Apartments window contract to Concept Windows. 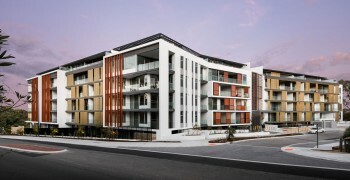 The apartment complex in Perth boasts 125 apartments, with every apartment having been designed to achieve maximum light penetration and warmth in winter along with cross-flow ventilation in summer. This leads to not only an energy efficient design but a home that is comfortable to live in regardless of the season. Apartment Sliding Doors – Concept Evolution 35 Series. Apartment Awning Windows – Concept Evolution 35 Series. Apartment Hinge Doors – Concept Evolution 35 Series. Communal Area Windows – AWS100x44 Commercial Framing. Glazing – A combination of 6.38mm & 10.38mm laminated glass, low-e laminated glass & double glazing. Flyscreens to all apartment sliding doors and awning windows. Concept Windows were privileged to work alongside Probuild Constructions during 2015 & 2016 to complete this luxurious apartment project. 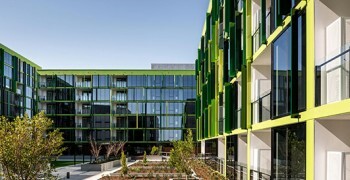 Stirling Cross Apartments in Innaloo WA, developed by Fini Group and built by Probuild is a project that stands out in history of Concept Windows. 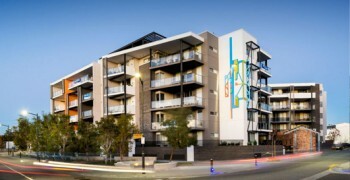 Concept Windows worked in conjunction Pindan Constructions during 2015 and 2016 to complete these 74 boutique apartments in Subiaco, WA.